On the afternoon of April 27th, at the invitation of the Yantai High-tech Zone Intelligent Manufacturing Industry Development Promotion Center, China Coal Group Deputy General Manager Han Yong,Deputy General Manager Fan Peigong, Group Office Director Zhu Wei, Zhongyun Intelligent Machinery (Yantai) Co., Ltd Manager Wang Kun and other leaders visited Yantai High-tech Zone. 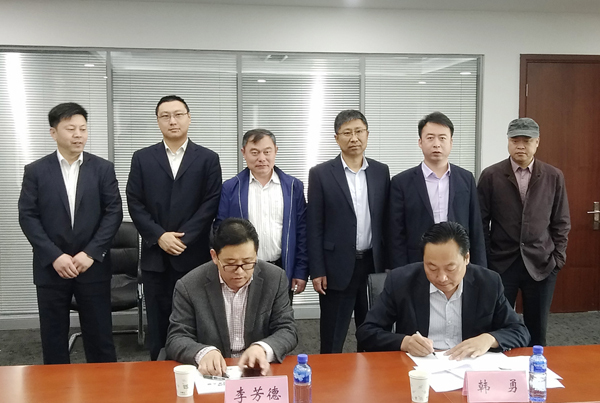 The two sides exchanged views on the in-depth cooperation in the field of cross-border e-commerce and the location of the Zhong Yun Intelligent Machinery Group's location in the Yantai Hi-tech Zone project, tax exemption and other related issues. Li Fangde, director of the Intelligent Manufacturing Industry Development Promotion Center in Yantai Hi-tech Zone, Jiang Haifeng, deputy director, and Zhang Hongli, director of the company, warmly welcomed the visiting team. 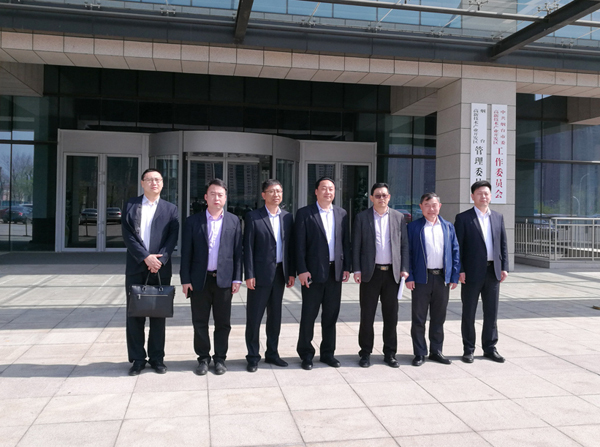 Yantai Hi-tech Zone Intelligent Manufacturing Industry Development Promotion Center Director Li Fangde, Deputy Director Jiang Haifeng, and Zhang Hongli, Minister Zhang Hongli and other leaders warmly welcomed the visiting leaders. 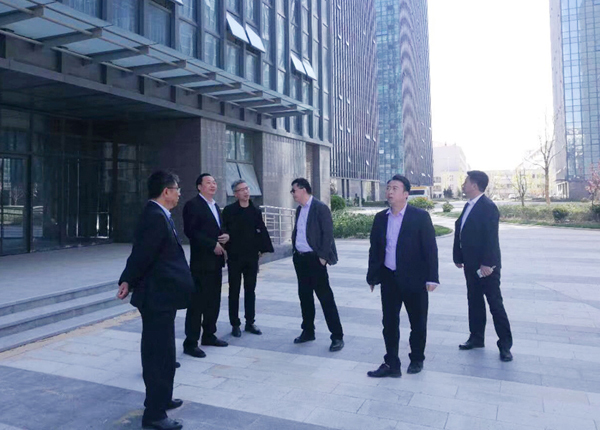 Under the leadership of the government leaders such as Director Li and Jiang Jiang, Manager Han and his entourages inspected the Blue zhigu and Quanqing Buildings and other office candidates as well as the Zhongyun Intelligent Industrial Park located to the south of Torch Drive and east of Haixing Road, reserved 60 acres plots and other venues. During the visit, the two sides conducted in-depth communication and exchange of specific preferential policies for the construction of the park, office space, warehouse logistics, staff accommodation, talent introduction and other projects, finally reached an agreement. 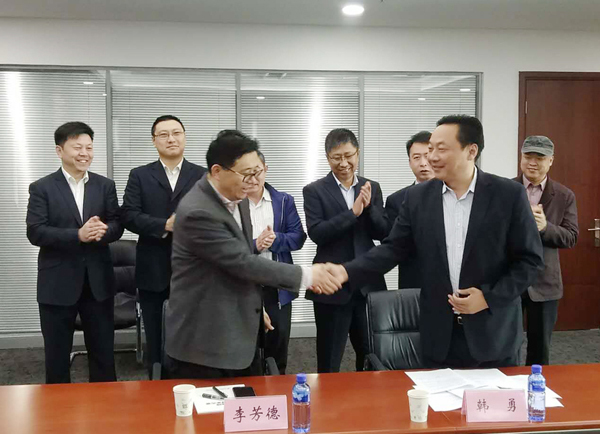 On the morning of April 28th, the Zhong yun Intelligent Industry Park project Signing Ceremony Held in Yantai Hi-tech Zone Government. Both leaders attended the signing ceremony. At the meeting, Director Li attache high hopes on the prospects for the future development of Zhong Yun Intelligent Industrial Park. He said that China Coal Group as a key enterprise for the development of cross-border e-commerce in Shandong Province and even the whole country, it has made innovations and changes in the marketing model of the national machinery industry. It is hoped that through the project cooperation of the Zhong Yun Intelligent Industrial Park, we will further strengthen the in-depth cooperation between our region and China Coal Group in cross-border e-commerce, e-commerce platforms, and talent training, and we will also provides the most preferential policies and the best quality services for the project development of Zhong Yun Intelligent Industrial Park. The development of the project to achieve a win-win situation for both parties' development! Manager Han expressed his sincere gratitude to Director Li, Director Jiang, and leaders for their trust in China Coal Group and their strong support for the Zhong Yun Intelligent Industrial Park project. Yantai Hi-tech Zone has a strong industrial base, distinctive industrial features, a good service environment, and outstanding policy advantages. With great potential for future development, we are very pleased to have the opportunity to invest in Yantai High-tech Zone. We are confident that the Zhong Yun Intelligent Industrial Park project will be a national first-class “cross-border e-commerce + smart manufacturing industrial park” for cross-border e-commerce. Make more contributions to the rapid development of cross-border e-commerce!